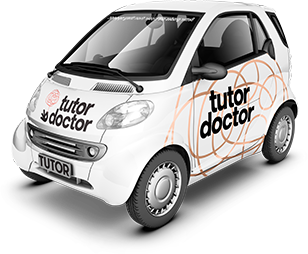 For branding excellence in our franchisees' communities, Tutor Doctor is committed to staying fresh, updated, relevant and effective with any marketing materials that our franchisees need! Our Home Office marketing team provides all franchisees with a wealth of ready-made marketing materials that range from traditional marketing, such as brochures, banners and pamphlets, to online options, such as emails, newsletters, blogs and social media posts. Our tutoring franchisees also have access to Tutor Doctor’s partner network offering cutting-edge lead generation techniques. Our wrapped Smart cars mean that you get to market your business for free wherever you go. Park your car outside busy centers or schools to maximize exposure! This is one of the pillars of our marketing program as sporting events, community events and committees give you the chance to share the amazing services Tutor Doctor offer with the people who need you the most. With Tutoring Franchise Opportunities, you can increase brand awareness to market your online business across the globe.